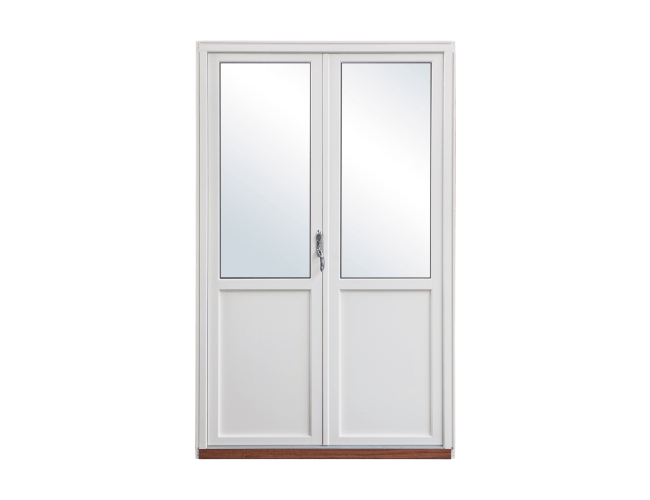 Outwards opening balcony doorsets are made to measure, single or double sashed. Anti-theft fittings are available on request. Three types of thresholds are available on our balcony doors – merbau wood (57 mm), composite (28 mm) or aluminium (25 mm). We use high quality laminated pine wood in our manufacturing process. 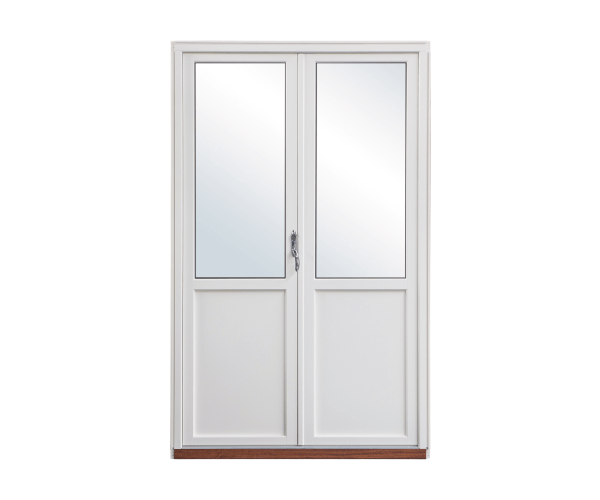 Our doors are equipped with double handles and an additional option of a safety cylinder may be installed. The door surfaces are covered with high quality acrylic paint TEKNOS. All RAL and NCS colours are available as well as azure colours with a visible wood structure. Balcony windows are made in two types of profiles: 95 and 109 mm and with aluminium cladding.